FREE WIRELESS High Speed Internet-Sleeps 6! 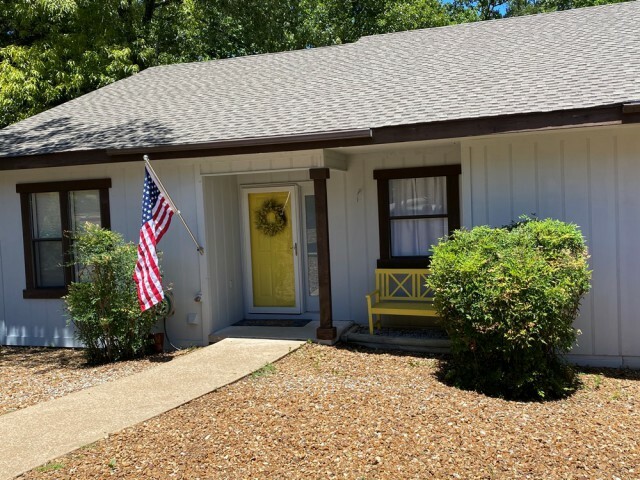 This charming 2 level Lake Thunderbird home has it all! Incredible lake views, PRIVATE COVERED BOAT DOCK ( our guests boast great fishing off dock!). 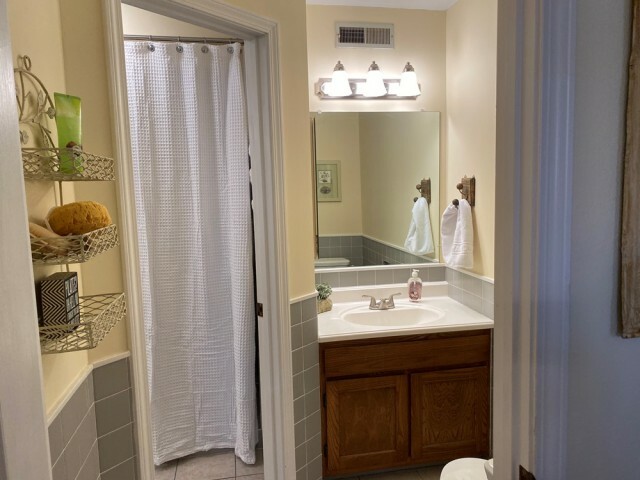 Plus privacy for multiple guests .Lower lever features Queen bed, 3/4 bath, family room & mini kitchen(refrig- microwave) plus great lake views and access to patio..FREE wireless High Speed Internet-bring your laptop! Living room upstairs features "Motion couch and love seat" allowing you to "kick back & relax!!! 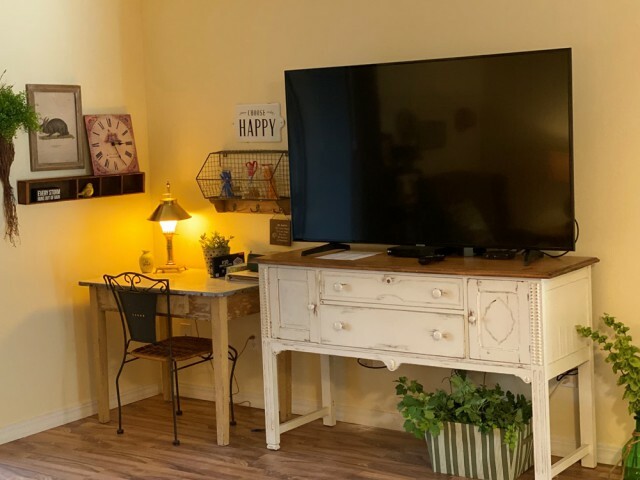 Well equipped kitchen, built-in stainless steel microwave, newer stainless refrig with ICE MAKER, new stainless range, stainless steel dishwasher!-good selection of dishes, cookware, etc. 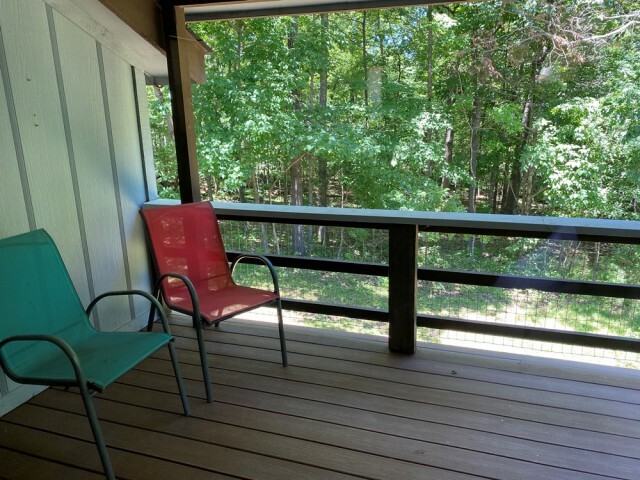 Easy access to large back deck complete with big charcoal bbq, patio table & chairs, & stairs that go right down to lake! 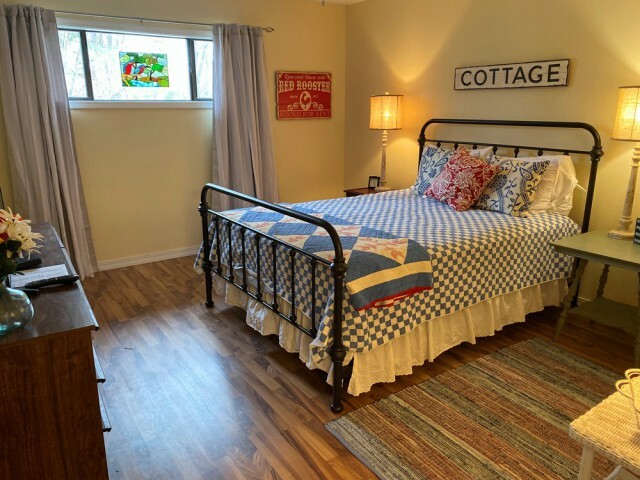 3 comfortable queen beds with cozy comforters, (Master bd has private flat screen tv), good closets & storage space, 2 updated bathrooms (one up-one down), living room with great lake views & large tv (cable and dvd player). Good selection of DVD's, VCR's, and CD's as well as board games. Family room with flat screen tv, laundry room with newer washer & dryer. Large patio-Charcoal BBQ. Large stationary COVERED boat dock. 1/4 of dock left uncovered for sunbathing- bring your boat or rent one(call Marina for availability). 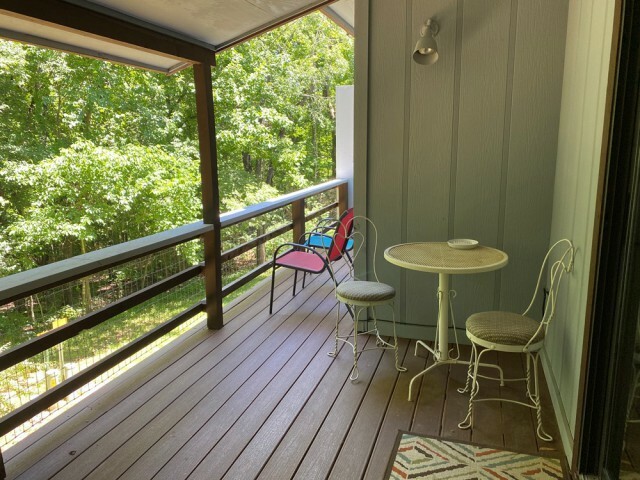 WALK TO THUNDERBIRD CENTER (seasonal POOL & putt-putt golf) or enjoy beautiful nearby HIKING TRAILS. 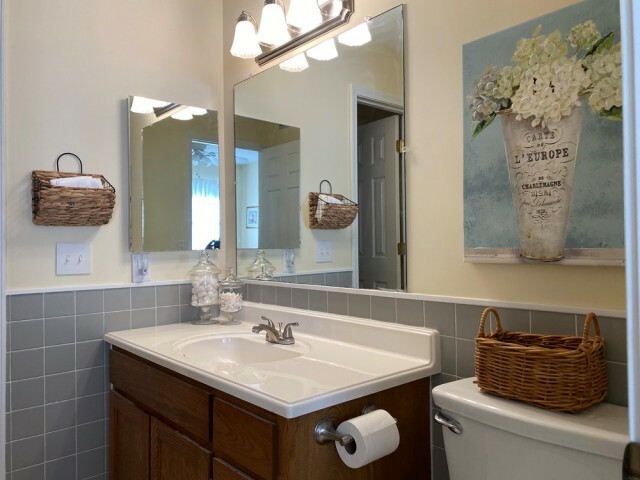 Tennis court, two 18-hole Golf Courses, and Old Hardy Town with antique shops & Famous Spring River are 10 minutes away or less... $125.00 for 2 guests 10.00 each additional guest- maximum of 6 guests in total. LOTS FOR YOUR MONEY!! No big or loud parties or you will be asked to leave with no refund. All Holidays require 3 nt stay @ 200.00 per nt Well behaved small dog (1) welcome with pet security deposit & $10.00 per nt. 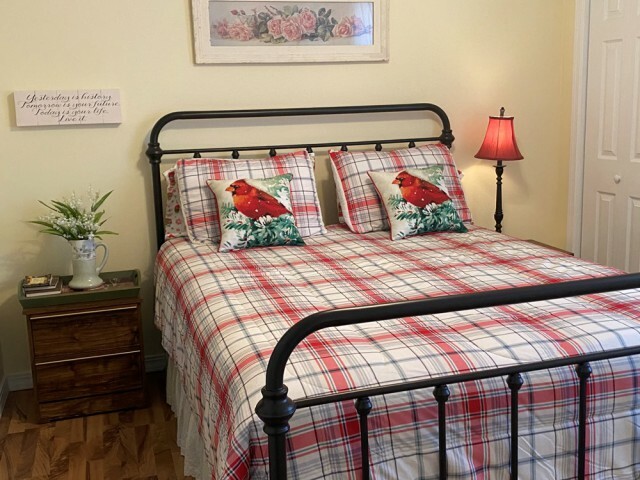 .Home available for monthly rental at $1200 per month Nov-March no more than 2 guests for monthly winter rental- WINTER RATES $100.00 nt for 2 guests $10.00 per additional person.